Today’s the day-Thanksgiving is finally here! For those of you attending someone else’s holiday dinner and forgot to cook up a dish to bring with you, you’re in luck. 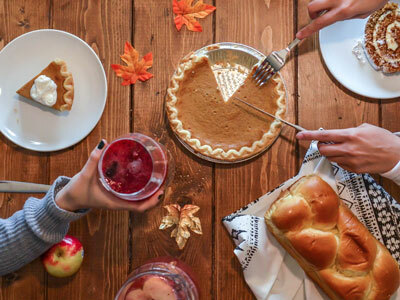 There’s so many easy, last-minute Thanksgiving recipes out there for you to test out before arriving at your friend or family’s house! You can put together an appetizer, side dish, dessert, or even festive cocktails! You may only have an hour or two to prepare something before needing to arrive at your party, but some of the recipes only take a few simple steps to make. You can whip something up quick in between getting ready!